Companies need the ability to collect, analyze and communicate safety related information, both internally and externally, with speed and integrity. Signal detection, risk mitigation and medical oversight all depend on time-sensitive and accurate data. 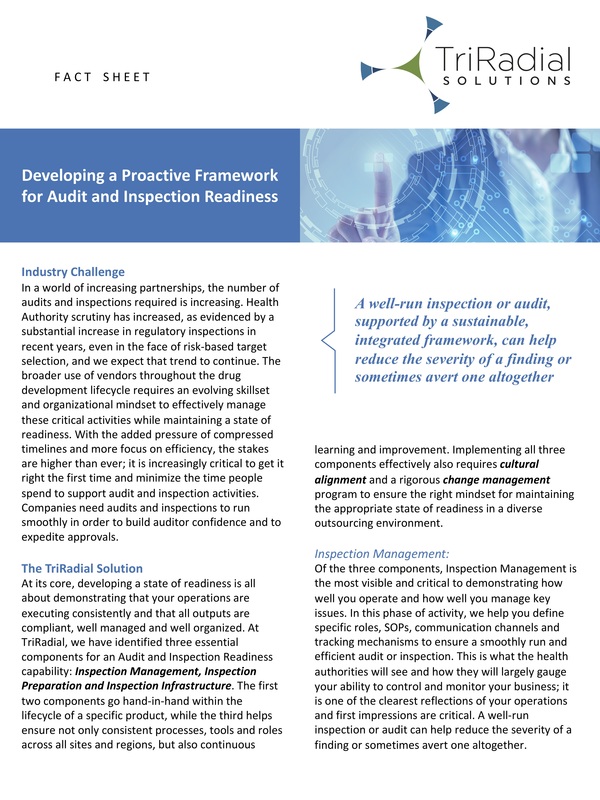 In an environment of increasing patients touch points, having the ability to scale and manage safety information has never been more critical to a company’s success. 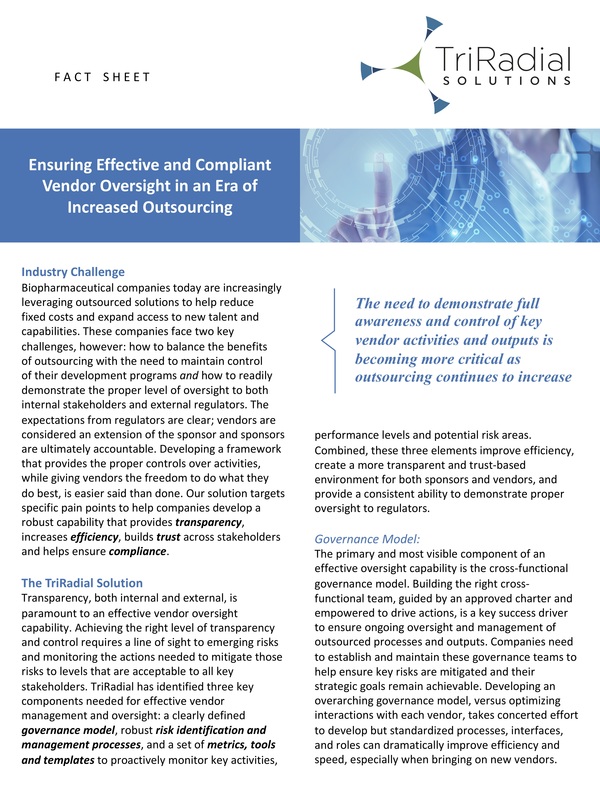 TriRadial helps companies optimize outsourcing, information exchange, technology platforms and oversight to align solutions with strategic goals and operating realities.